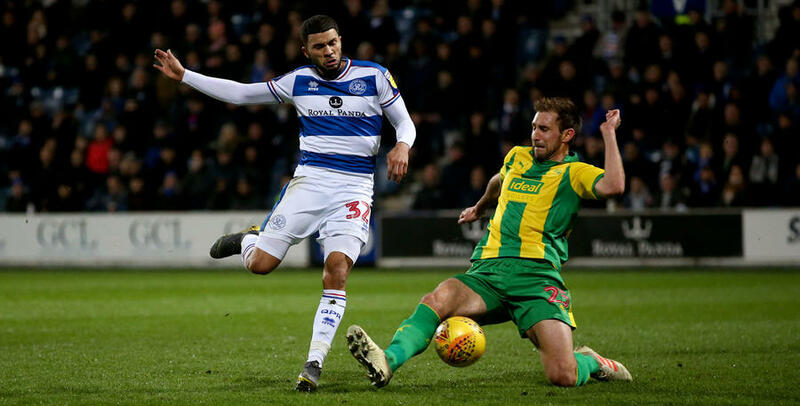 QPR are still searching for their first league win of 2019 after being beaten 3-2 by West Bromwich Albion in a pulsating game at Loftus Road this evening. Rangers once again produced a good performance, with Luke Freeman and Tomer Hemed finding equalisers after West Brom had twice taken the lead through Jefferson Montero and Jacob Murphy. 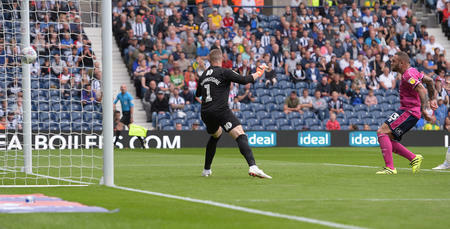 But deep into injury time, Jake Livermore scored for the visitors who took the three points. The defeat means QPR’s difficult period continues with Steve McClaren’s side losing their sixth game in a row. But this performance was not one of a team struggling and the R’s can point to the fact they had to end the game with ten men because of injury to Luke Freeman as a pivotal point in losing the game so late on. The R’s boss made one change from Friday’s 1-0 defeat to Watford on Friday. Joel Lynch came into the defence in place of Grant Hall. Rangers stuck with the 3-5-2 formation that Steve McClaren has been adopting of late with Joe Lumley in goal protected by Captain Toni Leistner, Joel Lynch and Darnell Furlong. Jordan Cousins and Massimo Luongo continued their promising partnership in the middle of the park with Luke Freeman playing just in front of them. The big and little partnership of Matt Smith and Nahki Wells also continued up top. 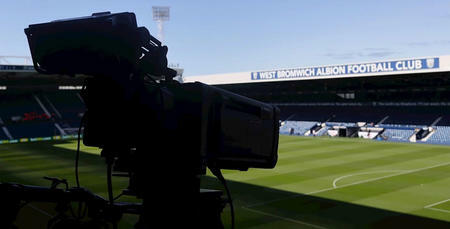 Our visitors West Brom made three changes from the side that were victorious against Aston Villa on Saturday. Jefferson Montero came in for his debut whilst Stefan Johansen and Sam Field also returned to the starting eleven. Albion got off to the perfect start, taking the lead with their first attack of the game in the 4th minute. A quick one-two between Stefan Johansen and Jacob Murphy saw the latter’s shot cleared off the line by Darnell Furlong but the ball fell straight to Montero who tucked it away on debut. 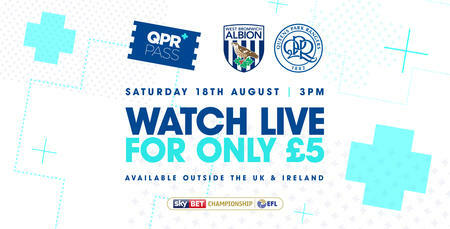 QPR’s response to the goal was slow with Steve McClaren’s side having to wait until the 20th minute before having their first shot on goal – a Luke Freeman free-kick that comfortably went over the bar. The R’s had control of possession but weren’t threatening whilst West West Brom’s pace on the counter-attack looked their most likely way of adding to their early goal. The Baggies on a few occasions broke the offside trap but their final pass let them down. QPR were struggling to get themselves into the game but that changed on the 35th minute. Luongo robbed Johansen of the ball and played it to Wells who advanced on goal before playing a clever through ball to the onrushing Freeman who gathered himself before lashing a shot into the net. You couldn’t say it was coming but Rangers were level and had something to work with after a difficult 30 minutes. However, the goal seemed to wake up West Brom who enjoyed a good spell of possession before the half-time whistle with Kieran Gibbs going on a jinking run but denied by an excellent close-range save from Lumley. The game had suddenly become more open and a couple of good counter attacks from Rangers saw them put some pressure on the WBA box. Luongo thought he had a good shout for a penalty turned down after Craig Dawson hacked away at his ankles but nothing was given. QPR went in at half-time feeling a lot more positive then they were ten minutes before the break and with all to play for in the second period. Steve McClaren opted for an early change with Ebere Eze replacing Matt Smith. Five minutes into the second half QPR went close to taking the lead. Wells, who was growing into the game, created space for himself at the edge of the box before curling an effort just wide of Sam Johnstone’s goal. The Hoops began the half better and Wszolek was next to go close with a long-range effort which again narrowly went wide. West Brom were carelessly giving possession away and struggling to find any rhythm. Just as QPR were enjoying their best spell of the game West Brom scored against the run of play. Jacob Murphy capitalised on a poor header from Joel Lynch and the Newcastle loanee did well to rifle the ball into the bottom corner. That was certainly harsh on Rangers who had to gather themselves and find a response. McClaren played his final two subs on the 70th minute, taking off Pawel Wszolek and Nahki Wells and bringing on Bright Osayi-Samuel and Tomer Hemed. And three minutes later Tomer Hemed won QPR a penalty with an excellent bit of skill on the edge of the box. The forward flicked Eze’s pass over his head before being taken down by Craig Dawson. The Israeli international picked himself up and calmly passed the ball into the bottom corner to draw the R’s level. Both teams then had excellent chances to take the lead. Firstly Lumley somehow denied Jacob Murphy from six yards out with an instinct save whilst at the other end Eze fed Osayi-Samuel and his left-footed effort was well saved by Sam Johnstone. The game had really sparked to life and with 15 minutes left it was unclear as to who’d be taking the points home. It was West Brom’s turn to go close next with the lively Murphy unleashing a shot from 25 yards that hit Furlong before going wide. Injury to Freeman meant the R’s had to play the final seven minutes with ten men and therefore restricted QPR’s opportunities to get forward. Piling on the pressure, Albion almost got the winner when Matt Phillips got on the end of a Murphy cutback but Leistner somehow managed to divert it wide. Rangers had to cope with five minutes of additional time and unfortunately, that was one minute too far. With just 90 seconds remaining a well-worked move saw Mason Holgate get to the byline and square the ball to Jake Livermore who tapped in to deny QPR, what would have been, a well-deserved point.